There's one gymnast who's all by her lonesome in Rio: Cătălina Ponor of Romania. Her team didn't qualify for the 2016 games (a shocker for the powerhouse former Eastern Bloc country that has produced Olympic medal-winning teams as far back as 1976). But since the country could send one gymnast to the all-around competition, Ponor still got to go to Rio. And while she might be alone on the mats, she has 64,000 fans supporting her via social media. Ponor's Instagram details the gymnastics competition and a Rio athlete's day-to-day life leading up to and between the various events. Her first post on the path to the Olympics was actually one marking disappointment of the Romanian team's loss at the qualifying event in April. They placed seventh but needed to come in at least fourth place to qualify. 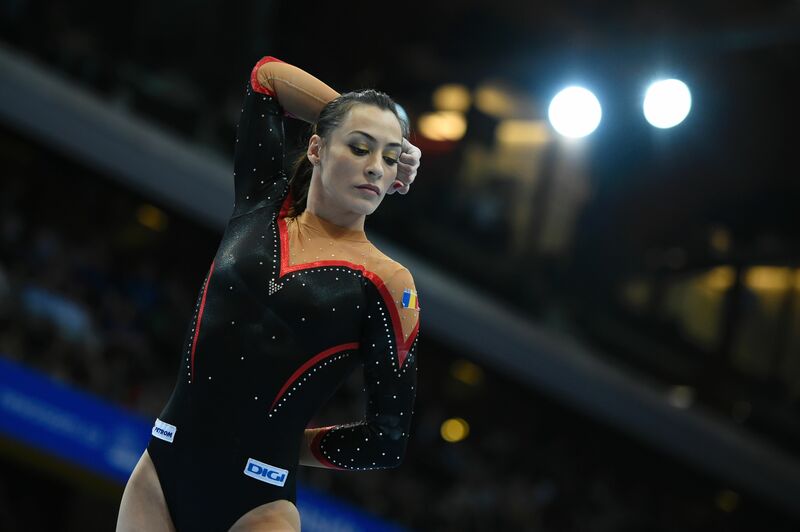 Ponor explained to her fans that she came out of retirement solely to help her country make it to the Olympics. "So sad for me cause actually I come back from retirement just for this," she wrote on Instagram. Her successor, the runner-up at the 2015 World Championship, Larisa Iordache, broke her finger in March and couldn't participate. That may have cost the team its spot, but it opened up one for Ponor, who was chosen over Iordache. Since that post, Ponor has continued her Instagram presence, trying to document the hard work that she has put in to returning to Olympics form. But as the games got closer, her focus shifted to more practical preparations like packing. The only person bringing more bags to Rio might be be former figure skater and NBC commentator Johnny Weir. Then came the actual trip to Rio, culminating in the view from the Olympic Village high rise apartments that the athletes are staying at. And if you ever wondered how an Olympian wakes up, it's not all that different than you do — except there's a Rio 2016 bedspread on hand. Other everyday moments include grabbing a coffee and taking the bus. When not posting photos of her carrying the Romanian flag in the opening ceremony, she shared photos of support from girls back home. She celebrated her own successes and cheered on her fellow Romanians. Also, who can't resist posing with a stuffed doll like this? Ponor's next and final event of the 2016 Olympic Games is the final on the beam. She came in fifth in the qualifying round, and she has a chance to take on the best, including Americans Simone Biles and Laurie Hernandez. Whatever happens, you can be sure that it will be on Instagram for all of her fans to see.